One of Resident Evil 7's first puzzles is a fairly simple one but for new players it can leave you a little unstuck. 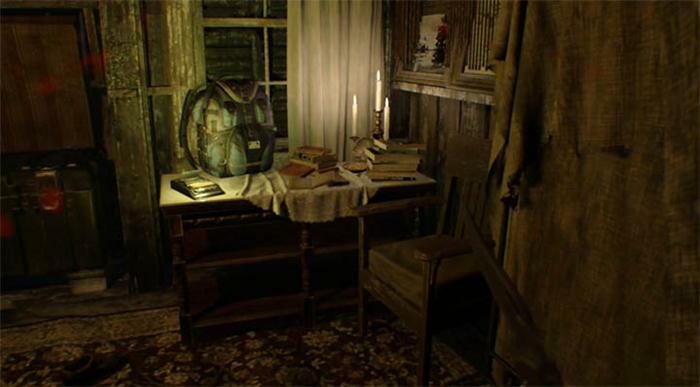 In this guide I'll show you how to get to the attic by finding the all important fuse item and opening the secret stairway. 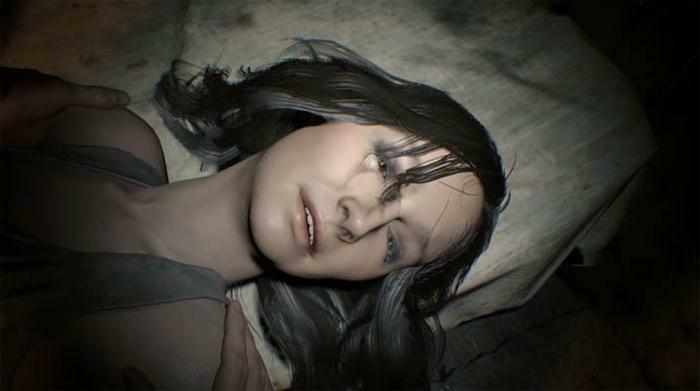 By this point in the game you will have already found Mia in the jailcell and have used the bolt cutters to cut the chain on the door. These bolt cutters are going to come in handy for our attempt to reach the attic. You will have also fought with Mia by this stage and must now work out how to get into the attic. 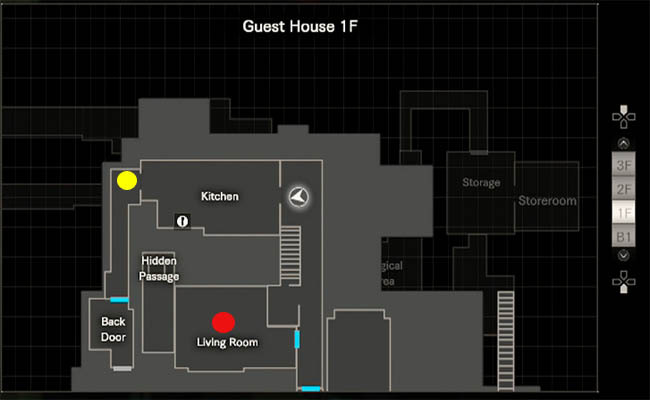 The current objective reads: "Head to the attic"
The yellow circle shows the location of the cupboard which you must break with the boltcutters to pick up the fuse inside. 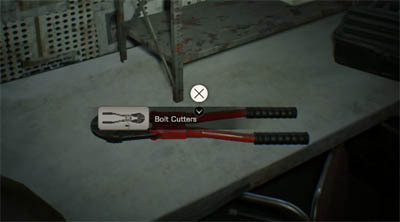 Simply interact with the lock and select the bolt cutters from your inventory. The red circle shows the room where the fuse box is. This will turn on the power inside the guest house - nothing really lights up but one switch in particular is now activated. Now head to the stairs which lead up to the next floor (2F) and look on the right at the top of the stairs for the red button with the words "stairs" written above it. 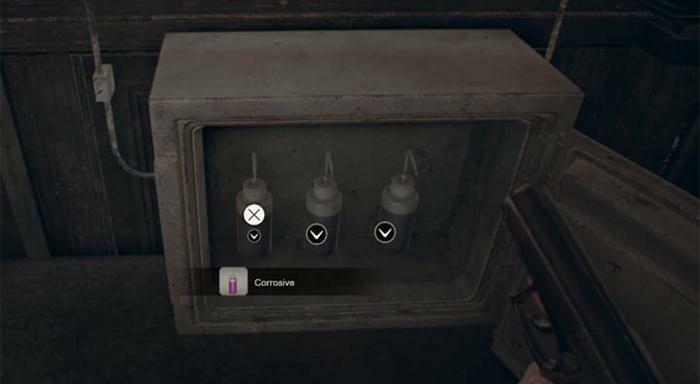 Press it to open up the secret stairway which leads to the attic area, allowing you to continue your journey in Resident Evil 7. Good luck! !